How can I make suggestions for the web site? Please complete the form on the Contact page or send an e-mail message to help@rd2rd.com. Send an e-mail message to help@rd2rd.com. Who can I contact with support questions? Do you provide copyright review? No, please consult an attorney specializing in copyright and/or trademark. Visit our Trademark and Copyright page for specific details about site policy. How do I report a copyright concern? If you feel an item is infringing on copyright laws, please send an e-mail message to help@rd2rd.com. Also, be sure to review our copyright policy at rd2rd.com/trademark-copyright. How do customers access digital files after purchasing? When a customer purchases a digital download, they will receive an e-mail message with a link to the download. The customer dashboard is where you will find your purchase history, downloads and subscriptions. You will also find your account information such as name, display name, email address, billing address. You can edit any of this information and can change your password. Sorry. Refunds are not available for purchases of digital downloads. Can I see a preview of the product? Vendors can choose to include product previews in their item listings. However, not all vendors provide a preview for their items. If a preview is available, it is shown in the detailed product listing. How can I review a product after purchasing? Product reviews are visible to the public, and the vendor can respond to your feedback. You can also provide feedback about the vendor, via your customer dashboard; however, vendor reviews are not visible to the public. After you purchase a product, you will receive an e-mail message containing a link to submit a product review. Alternatively, you can navigate to your customer dashboard and click the link for the product purchased – scroll to the bottom of the screen and complete the review form. When users successfully complete the customer registration form, a new user basic account will be created and the new user will be automatically logged in. A more detailed new user account when customers complete their first transaction. New users will be sent to their customer dashboard after they login. How will my purchased item(s) be delivered? RD2RD has an Extended Validation (EV) certificate with a green address bar – this is recognized as the highest standard in Internet trust. EV certificates are validated against both the Baseline Requirements and the Extended Validation requirements, which place additional requirements on how authorities vet companies. These include manual checks of all the domain names requested by the applicant, checks against official government sources, checks against independent information sources, and phone calls to the company to confirm the position of the applicant. If the certificate is accepted, the government-registered serial number of the business, as well as the physical address, are stored in the EV certificate. Is my account information safe and secure? Yes. This web site is protected through an EV SSL Certificate. Is my payment system safe and secure? PayPal’s and Stripe’s web site are secure and encrypted. PayPal and Stripe do not share your full financial information with vendors. This web site is also protected through an EV SSL Certificate. Customers have the ability to save and share their favorite products on the RD2RD website by creating wish lists. You can Create, Edit or View a wish list by going to the menu and selecting MARKETLACE / Customers / Wish Lists and then Create, Edit or View. Quickly add a product to a wish list, and create new wish lists without leaving the product’s page. Simply click the ADD TO WISH LIST on the right-hand sidebar. Users can select a list that they already created or create a new list. Users can create an unlimited number of wish lists. Registered users can store lists indefinitely. Share lists to various social networks via a unique short url. Facebook, Twitter, Google + and LinkedIn. Share lists via email to your friends and family. Users will see if a product in a list has already been purchased by them (must be logged in). Users will see if a product is already in another wish list. What restrictions are there for how I use my purchased item(s)? It is important for you to review the terms of service on this web site. Vendors can also add additional term and restrictions for their products, so please review these prior to purchasing. Generally, items can be used for personal use but cannot be resold. What is the difference between vendor feedback and product reviews? Customers can leave both vendor and product reviews – vendor reviews are not visible to public, whereas product reviews are visible to the public and you can respond to them if necessary. During the purchase process, customers are asked about their experience purchasing your product – vendor feedback is viewable on your vendor dashboard in the Vendor Feedback section. Customers can also post reviews about product purchases. After purchasing a product, the customer will receeve an e-mail message requesting them to submit a review of your product. Who can review my products? Only individuals who buy your products can submit a product review. Do I need a web site to have a vendor account? No, you do not need to have a web site to have a vendor account. All you need is a PayPal account. Navigate to your vendor dashboard, click the Profile link on the left navigation. Make the desired changes, then click Save Changes. How do I update my vendor profile? How do I view a list of my products? Navigate to your vendor dashboard, then click the Products link on the left navigation. You can view your earnings on the vendor dashboard. Navigate to your vendor dashboard, then click the Earnings link on the left navigation. I don’t have a PayPal account. Can I be a vendor? No. All vendors must have a PayPal account. I live outside the U.S. Can I be a vendor? No. All vendors must reside in the U.S. and have a U.S. PayPal account. My PayPal address is different from my preferred e-mail address for communication. Use your preferred e-mail address to receive communications. Your PayPal e-mail address must match the one on your PayPal account in order to receive vendor and affiliate payments. My product received a review – how do I view it? What is my store URL (how can I share a link to my store)? Your store URL is displayed at the top of your vendor dashboard. This is the URL you should share with potential customers of your products. What is revoked vendor status? A revoked vendor status means that your store is no longer active. Failure to respond to e-mail messages regarding your account or issues with payment of your account may require revokes status. Revoked accounts can be restated. Please send an e-mail message to help@rd2rd.com with questions about your account status. What is the vendor dashboard? The vendor dashboard is used to create your profile, add your product listings, and view your orders and earnings. Why do I have to provide a PayPal e-mail address? All earnings are payable through PayPal. Therefore, in order to issue your payment, we need your PayPal e-mail address. Payments are made monthly, within 21 days of the end of month, to the PayPal address specified in your profile. Earnings (both paid and unpaid) can be viewed in vendor dashboard. Earnings are shown as unpaid until vendor payments are processed and paid. 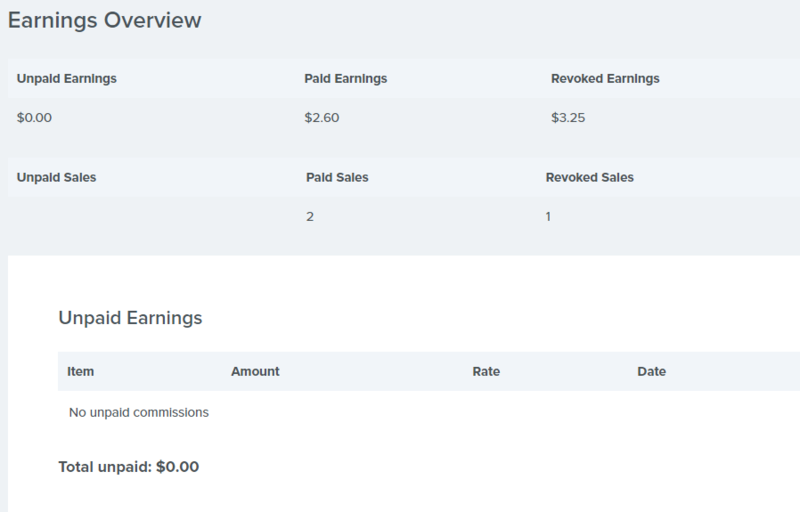 Once PayPal payment is sent to the email address specified in your profile, earnings are shown as paid. You can download/export a montlhy earnings report directly from your dashboard. There is no fee to list a product on RD2RD. There is a service fee when products are sold. Service fees are charged to offset costs associated with hosting of content, website security, payment processing, website development, marketing, etc. Basic members earn 65% of each sale, and premium members earn 80%. The remainder is a service fee that is paid to RD2RD. Click here for more about premium membership. What are the differences between the free and paid (premium) versions of RD2RD? It is free to become a member/register as a vendor and create your store. There are no fees to list your products. RD2RD charges a service fee each time a product is sold. Basic (free) members pay 35% service fee. Premium members pay 20%. Stated another way, with a premium membership, your earnings are 80% of each sale (for basic memberships, earnings are 65%). A premium membership is optional and is $49/year. With a premium membership, you earn 80% of each sale (basic members earn 65%). A premium membership is a subscription and is $5/month or $49/year. Why are service fees deducted from sales? Service fees are paid to RD2RD with each sale. The costs associated with hosting files, building and maintaining this website, including keeping it secure, are covered through these fees. Service fees also include fees charged by payment processors (Stripe/PayPal). Can I have more than one store or account? Yes, however each store must have a unique logon, including different e-mail addresses. Individual products may only be listed in one store. How can I reduce the size of my digital file? Utilize a .zip file. There are both free and paid tools to create a .zip file. Navigate to your vendor dashboard, click the Products link on the left navigation, then click Delete below the product you wish to delete. How do I do I add a new product to my store? Navigate to your vendor dashboard, then click the Add Product link on the left navigation. How do I update an existing product (e.g. price, description)? Navigate to your vendor dashboard, click the Products link on the left navigation, then click Edit below the product you wish to edit. Make the desired changes, then click Submit. I registered to become a vendor. When will I be approved? It normally takes up to 48 hours for the approval process to be completed. I’m not an Registered Dietitian (RD) or a Dietetic Technician Registered (DTR). Can I become a vendor? At this time, we are only accepting vendors from within the U.S. that are an RD or a DTR. Join our mailing list to be notified of changes to our vendor requirements. What is the file size limit for digital products? The maximum file size is 64 MB. What is the recommended size for the product listing images? Why am I getting an error message when submitting a product? The product submission form has required fields (indicated with an *) that must be completed. View the instructions for each field to be sure you have completed each required step.